Below is a video and article that have just been posted online about the new book Dalai Lama – Not so Zen by Maxime Vivas. The book was released, in French, on Thursday. PARIS, Aug. 20 (Xinhua) — A French writer’s book put on sale recently has disclosed another side, including opportunism and tricks, of the Dalai Lama deified by some Western politicians and armchair pundits. Maxime Vivas’s new book “Not So ‘Zen’: The Hidden Side Of The Dalai Lama” hit the shelves of bookstores and online retailers Thursday, days after the Dalai Lama himself held a three-day public conference in the southern French city Toulouse. Facts and views in the 130-page French-language book refute the long-time self-beatification of the Dalai Lama. “Based on the word of the Dalai Lama in his transcribed memoirs and also in his speeches during his trips abroad, Maxime Vivas highlights opportunism, omissions, tricks, and lies of a man and his kingdom,” the publisher Max Milo Editions said in a press kit. 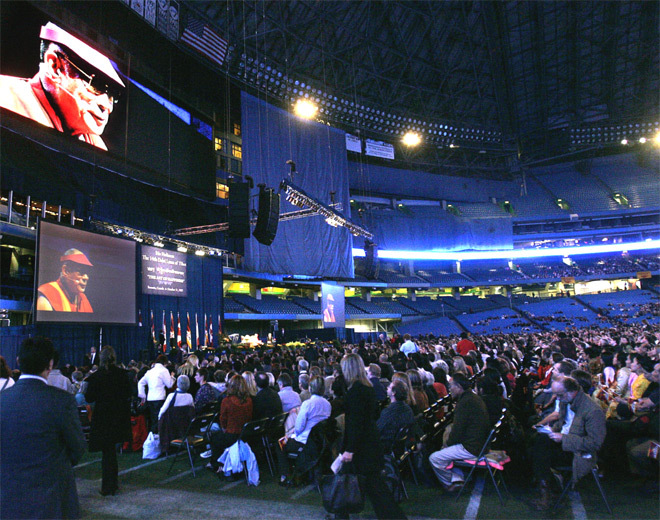 “In a plea for secularism, the author raises the question of what would be a ‘Free Tibet’ led by a recalcitrant prophet in front of science and freedom of worship,” the publisher said, while presenting a briefing of a feudal system decades ago under the Dalai Lama and the free primary education system in today’s Tibet that is significantly bringing down the illiteracy rate. “The trend in France is mostly to edit mass books praising the Dalai Lama. Writing against the Dalai Lama or breaking his image is akin to smearing the portraits of Nelson Mandela or Mahatma Gandhi, the idols which we can’t touch,” Vivas told Xinhua. Confusion-and-curiosity-driven, Vivas conducted a truth-seeking trip to Tibet in the summer of 2010 with several other French journalists. He found there is a modern Tibet prospering with free prayers in temples and monasteries and even on the streets, and Tibetan-written signs are everywhere. “What I saw in Tibet is not like what I read from the French press and books,” he said. To clarify the contradiction of the real Tibet he witnessed and the one in the Dalai Lama’s propaganda and most Western reports, Vivas read numerous documents, including studies of French parliamentarians, and researched opinions from various angles. The book with the Dalai Lama’s photo on the cover is now on the bookshelves of Fnac, the largest retailer of cultural and electronic products in France, and in the book category of U.S.-based Amazon.com, the world’s largest online retailer. There have been many comments about the book on the Internet. Some pointed out the double status of the Dalai Lama mixing political with religious faces. “However the truth is, he is not actually the person he appears to be. His actions have not always been in accordance with his message of peace, tolerance and compassion…” a netizen named “Caz Namyaw” commented. The book also has drawn attention from the French media including TV5, bfm radio and France info, among others. Showing footage of a regional TV channel’s interview on the book, Vivas pointed out several illogical arguments posed by some French media, which he said questioned him on the basis of prejudgment rather than the content of his book. Vivas also said he didn’t believe in the Dalai Lama’s March announcement of handing over political power because he since met U.S. President Barack Obama at the White House in July. 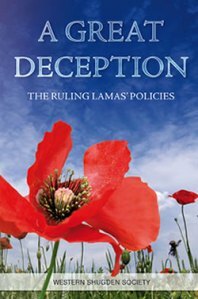 The Western Shugden Society has posted a link to download A Great Deception – The Ruling Lamas’ Policies as a free eBook. The eBook has been posted together with a letter which is being sent along with the paperback version of A Great Deception to influential people around the world. With this letter we the Western Shugden Society would like respectfully to request you to use your influence to help millions of Buddhist practitioners of the Buddhist Deity Shugden who are presently suffering religious persecution perpetrated by the Dalai Lama of Tibet. We request you please to ask the Dalai Lama to stop this persecution and religious discrimination. For his own political ends the Dalai Lama is persecuting Buddhist people who practise this Deity. 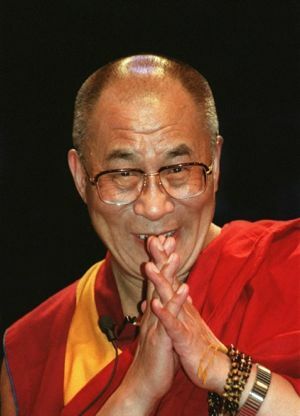 Most people around the world believe that the Dalai Lama is a compassionate man of peace, but the hidden reality is that, because of the high regard in which the ancient title is held, the Dalai Lama is actually now a dictator who is systematically causing immense suffering to millions of innocent people throughout the world. His actions banning the practice of Shugden and persecuting practitioners blatantly contravene the United Nations Universal Declaration of Human Rights on several counts. Please may we encourage you to come to understand the real nature of the Dalai Lama of Tibet by reading this book A Great Deception. We believe that you will then be able to help the innocent people presently experiencing his persecution. Please download A Great Deception as a free e-book from the Western Shugden Society website. Dalai Lama – Not so Zen by Maxime Vivas is set to be released in French on August 18th. The new book goes in depth into the Dalai Lama’s CIA/NED connections and the history of feudal theocracy in Tibet under the Dalai Lama’s rule. A few French media outlets have already written articles about the book. The first president of the NED, Carl Gershman, admitted in 1986: “It would be terrible for the democratic groups around the world to be seen as subsidized by the CIA […] This is because we could not continue to do the foundation [the NED] was created. “For his part, Allen Weinstein, who worked in the drafting of articles of the NED in 1983, told the Washington Post, September 22, 1991:” Much of what we’re doing now was done in secret by the CIA Twenty-five years ago. “In order to intervene with the elections in Nicaragua that saw the defeat of the Sandinistas in February 1990, the CIA and the NED had established a civic front says (Via Civica). In Venezuela, the NED’s budget had increased fourfold in the months before the coup of April 2002 against President Hugo Chavez. After the collapse of the Soviet Union, we saw the NED stir in many Eastern European countries which could put into place a pro-NATO government hostile toward Russia. When a nation’s politics and a religion’s spiritual teachings become mixed, the goodness of both is lost. This week, the Dalai Lama is performing the Kalachakra ceremony in Washington, DC, drawing great interest from the US national media. What exactly is the Kalachakra, and what is the significance of this? Kalachakra is a practice belonging to Buddha’s teachings called Highest Yoga Tantra. Tantric teachings were taught to help ripen our inner Buddha nature quickly, and so they are known as the quick path to enlightenment. For this reason these teachings are incredibly precious. In order to enter into a Tantric practice such as Kalachakra, one receives an empowerment or initiation. However these teachings and practices can easily be corrupted if done with a selfish motivation, so the empowering teacher explains the importance of practicing for the purpose of benefiting others. Without a pure, compassionate motivation, an ignorant practitioner of Highest Yoga Tantra could easily misuse the teachings to increase their own enjoyment, reputation, and worldly success. But with a motivation of universal compassion and loving-kindness, practitioners gain a powerful tool to enhance their spiritual practice and train their mind. But what happens when the Tantric master is a head of state? Though the Dalai Lama has officially relinquished his political duties, he remains the de facto leader of Tibet. How is this? His opinions and pronouncements are taken as unquestionable dictates. Thus the spiritual leader retains his political authority. By granting the Tantric empowerment of Kalachakra, the Dalai Lama takes on the role of the Vajra Master. When entering the practices of Highest Yoga Tantra, practitioners develop a special, inner relationship with the Spiritual Guide granting the empowerment. To speed up their spiritual progress, they learn to view their Spiritual Guide, who appears as an ordinary being, as a Buddha, a fully enlightened being. This helps practitioners take the teachings to heart and overcome their mental difficulties quickly, and they carry this commitment (samaya) with them into their daily lives. The consequence of this is that when the Dalai Lama gives a speech on foreign policy, his followers view it as an enlightened being’s foreign policy. When the Dalai Lama advocated for the freedom of Tibet, his followers view this as an enlightened being’s support of Tibetan independence. When the Dalai Lama issues a reform, his followers view it as an enlightened being’s reform. When the Dalai Lama ostracizes an entire segment of Buddhist society, his followers view it as an enlightened being’s indictment. So we can see the problem. By giving Kalachakra empowerment so many times publicly and simultaneously continuing his political activities, the Dalai Lama has actual used Buddha’s precious Tantric teachings to increase his political power and eliminate opposition. This is incredibly shameful. The Dalai Lama has been able to hide behind this commitment for his followers to view him as a Buddha. He has been able to use Tantric samaya to quash opposition to his pronouncements. He has been able to use his robed Asian mystique to spark unquestioning admiration in Westerners. As a result, the 14th Dalai Lama has pursued an unprecedented consolidation of political and spiritual authority. This pursuit of power has resulted in substantial damage to all four schools of Tibetan Buddhism. He severely damaged the Nyingma tradition by defaming the popular Dudjom Rinpoche in the 1960s, accusing him of spying for the Chinese, leading to his arrest. This is still a popular accusation used to hinder the Dalai Lama’s opponents! He divided the Kagyu tradition by throwing his weight into the Karmapa controversy, supporting Communist China’s candidate and denying Shamar Rinpoche’s selection. This division resulted in pitched battles at Rumtek Monastery, the seat of the Karmapas. Rumtek is now closed off to both candidates and the Kagyu tradition remains deeply divided. He disparaged his own root Gurus of the Gelug tradition by saying they were wrong about their Dharma Protector practice, and subsequently banning this practice of Dorje Shugden, destroying the religious freedom of Gelugpas around the world. Those continuing to practice Dorje Shugden are ostracized. They are verbally and physically assaulted because of the Dalai Lama’s political pronouncements under the aegis of his Tantric samaya. This a tragic misuse of Buddha Shakyamuni’s teachings. How can an enlightened being use pure view to enforce harming living beings? How can this be a pure intention? between the rich & poor. His view is that the poor need to work harder. 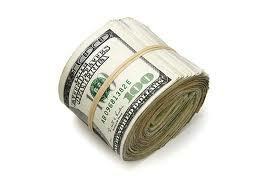 The audience was some of the world’s wealthiest people in Aspen, Colorado. Why didn’t the Dalai Lama encourage generosity towards the poor? I guess that’s just another question for “His Holiness”. It seems pretty obvious in these videos that the Dalai Lama and Samdhong Ringpoche are after some Tibetan cash. What do you think? This video brings up some interesting questions about Orgyen Trinley’s eyes. This video was posted on Youtube yesterday by the Independent Journalism blog. The same blogger also wrote an article with the same title. ‘a major step towards utilizing certain elements of the Buddhist world in one aspect of psychological warfare’. Of all the cables posted on the WSS site recently that one shocked me the most. The Dalai Lama and the US Government are actually trying to use the whole of Buddhism as a weapon to divide and conquer China. “The Dalai Lama’s followers often accuse Shugden practitioners of having links to the Chinese even though we have nothing to do with China. Yet they are actually being manipulated by the CIA and they don’t even know it”. This is clearly true. The full documents that mention psychological warfare are below.